In our article last year anticipating the Royal Commission’s examination of the Australian banking and financial services scene, we looked at the 2015 recommendations of the Group of Thirty banks, regarding desirable conduct and culture, and found them pretty well totally ineffectual when applied to the Australian situation. We also considered the investigations by the “Twin Peaks” of banking oversight in Australia, the conduct regulator, the Australian Securities and Investment Commission (ASIC) and the prudential regulator, the Australian Prudential Regulation Authority (APRA). 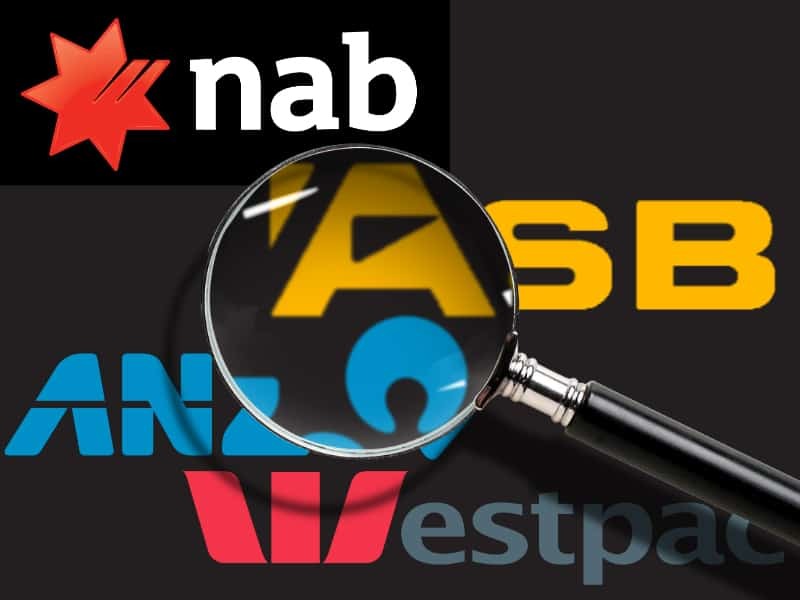 The examination of Australian banking by ASIC resulted in expensive settlements by three of the big four banks, and the investigation by APRA into CBA triggered by money laundering allegations, led to the setting up of the Royal Commission. Our critique of some of the main recommendations of the APRA report prompted us to fear that the Royal Commission might produce a set of proposals which, like the Group of Thirty exhortations might be strong on principle and weak on practicality. So, now that we have had the Interim Report, in late summer 2018, and most recently, the Final report, released on 3 February, what are our thoughts? Well, the Interim Report, with its 347 pages, supported by Volume 2 with 487 pages of Case Studies, and Volume 3 of Background Papers with 107 pages, provided plenty of ammunition for critics of the industry. The Commissioner, Kenneth Hayne, a retired High Court judge, clearly set out to keep his door open to all those who had genuine complaints about the behaviour of the big players, and all the related smaller fry. His findings, set out in his Interim Report, spared no-one, and our earlier article listed some of the examples of extraordinarily bad and prolonged bad practice. The Interim Report set out Mr Hayne’s strongly expressed personal opinion of those who allowed these things to happen. The banking world generally, and all those who had some kind of interest in it, waited with expectation and concern for the Final Report. No-one felt in a position to defend the industry, particularly since the USA and Europe had earlier led the way in a, still on-going, process of knocking their banks’ balance sheets into a safer shape for prudential reasons, and levying huge fines for misconduct. The only plea was for no more regulation, and in his interim report, Mr Haynes acknowledged the likely ineffectiveness of yet more regulation. He did draw particular attention to the problems of conflicts of interest, and especially to the conflict between interest and duty, and this led some people to anticipate that he might call for a radical break-up of the banks’ business models to address these issues. So, what did Mr Haynes say in the 496 pages of his Final Report, itself supported by 455 pages of Case Studies and 118 pages of Appendices? overall, there was a huge power imbalance in the relationship between the banks, as providers of financial services, and the users of those services, which led, inevitably, to unfairness and exploitation of the weak. since the bad practices emanated from those running the banks, the change in culture, governance and practice has to start at the top, and the reward systems and organisation structures which led to personal interest over-riding duty to customers have to change; it has to be recognised that there is always a primary duty, and when that duty is towards the provider of the services (as so often it is) rather than to the acquirer, that has to be acknowledged and made clear to the acquirer. the duty to behave with honesty and integrity towards customers and to sell them only what is in their interest and can be delivered as promised, is already enshrined in law, meaning more regulations won’t help, since the problem is that the law and codes are already being flouted. Indeed, the laws have become so complex that a major effort needs to be directed at simplifying them to help achieve their intent by eliminating lots of exemptions. But the regulators would be helped by more of the regulations being made legal requirements rather than recommendations, and therefore enforceable by law – which powers the regulators must then use rigorously. The response to these recommendations has varied, but seems to be positive overall. The feeling seems to be that Mr Hayne has sensibly avoided any radical restructuring proposals at this time because of the need to maintain financial stability in the Australian economy when the global situation is starting to look uncertain. A major disruption of the banking industry would almost certainly affect the supply of credit, and impact on both corporate and personal lending, which policy makers would not regard as helpful. There seems to be general acceptance of the thrust of his report which lays the blame for the bad things which have happened, not on the rules, but on the bank managements which allowed them to be broken. He also takes the regulators to task for not doing their job more vigorously, and recommends improved collaboration between them, rather than lots of new regulation. But he does also recommend an overseeing body to keep them on their toes, and thus answers the question “quis custodes ipsos custodiet”, as the Romans said. So how would we assess the likely impact of his recommendations on the bad practices which he so roundly condemned? An early casualty has been the top management at NAB, where the CEO and Chairman have announced their departures. But how many others will follow, and will the cultures change both in the banks and at the regulators? Mr Hayne refers to the Group of Thirty, and his recommendations echo the law enforcement and culture exhortations. But arguably, it’s the competitive element which has driven the bad behaviour both in Australia and around the globe – remember Wells Fargo – and he refers to this as an expressed deterrent for first movers for change. So, all that said, will his own recommendations for improvements in culture and enforcement of laws have more effect than those of the Group of Thirty? Also, what about the APRA enquiry. As we’ve said, Mr Haynes is fairly critical about APRA and its preference for settlement rather than litigation and punishment. Our own assessment of their report was that it was likely to result in front line staff taking more care not to be caught, rather than initiating genuine culture changes. We then expressed concern that the Royal Commission might similarly produce a report full of good intentions which wouldn’t lead to significant changes in behaviour. so much of what Mr Hayne describes as needing to change, in his indictment of the banks’ misdeeds, shouldn’t need spelling out. It is simply proper and honest behaviour, as he himself says many times in so many words. This is an appalling indictment of the industry, and without fundamental changes in culture, this behaviour will recur again and again. Exhortations to the top management about culture, and making an example of the occasional sacrificial victim, will not make a fundamental difference by themselves. at one point, Mr Haynes recommends better information for boards regarding non-financial risk, particularly that arising from the effect of remuneration systems on behaviour, and recommends that boards should check regularly for indications of bad non-financial behaviour. Indeed, he quotes the example of CBA authorising performance bonuses on the basis of inadequate or wrong data. We would strongly agree that the information systems are at the heart of the answer to the board’s ignorance (or expressed ignorance) of bad behaviour. again, his recommendation that banks should remember that they are breaking the law if they don’t deliver what they have promised to, and hence have to have the necessary systems in place to do that before making such promises, and must remediate promptly if they fail to deliver, are such basic common sense that the need to include them in his recommendations is simply astonishing. his remarks on ASIC express his view that their remit is satisfactory, but that the execution needs improving; in particular, he expresses his view, both in this part of his report and on numerous occasions elsewhere, that enforcement of regulation needs public denunciation as well as punishment and financial penalties, and without all three, the deterrent value of the regulation will be hopelessly lacking. ASIC needs to pursue denunciation and punishment, through litigation, to a degree that it has historically avoided – culture change again. And in all cases, the benefits of the wrong-doing must never outweigh the financial penalties. his recommendation for an oversight body for the “twin peaks” is intended to meet a perceived need to be sure that they are doing their jobs properly, but, in practice, will it actually check performance as well as process? I’m sure Mr Hayne would be disappointed if it resulted in yet another example of box-ticking. the chairman and the board should then receive reports directly without intervention by management, in a consistent form and on a regular basis such that the directors can monitor performance and progress in improving corporate governance. Mr Hayne’s recommendations are grouped and summarised for easy understanding and do indeed take an holistic approach, for instance addressing the particular needs of the agricultural sector and of aboriginal populations with language problems in remote parts of the country. He is also very clear about what he sees as the chief causes of bad behaviour, particularly the imbalance of information and power between the providers and their customers, and the reward systems, which lead to an unethical culture, coupled with relatively ineffectual exercise of regulation. He points to the need for boards to set up reporting systems which can pick up cultural misconduct, though he doesn’t offer any detail about setting standards, deciding appropriate metrics and implementing the necessary measurement and information systems. Perhaps, as a lawyer, this is understandable, and it falls to people like systems analysts and accountants to create these. 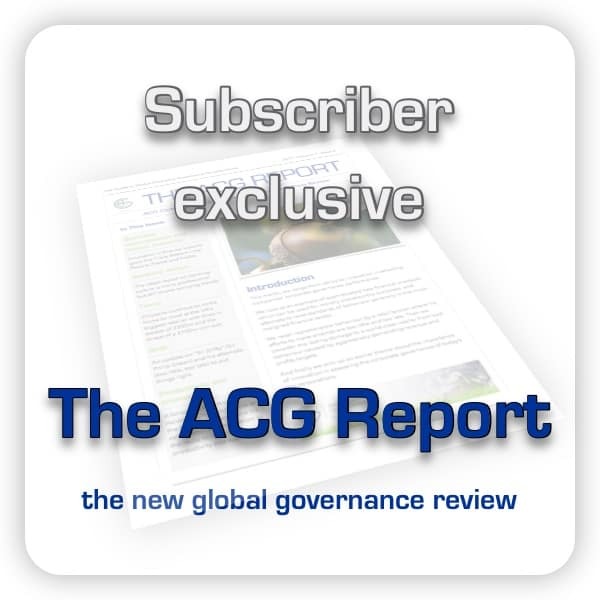 Which is where we would point to the principle that we have advocated over many years, that without a system to measure, monitor and report on the key elements of corporate governance – culture being at the heart of good governance – improvements will be temporary and continuous improvement impossible. Mr Hayne, with great respect, please note.